A missing person is considered the one who is declared as missing, it is unknown where he/she is and there are certain fears about his/her safety and well being. Due to the law of personal data protection, the search of missing people can proceed only if there is a record keeping of their personal information, such as full name, status, and cause of search. The «forced disappearance» of people is considered a crime against humanity and unfortunately it is something that happens very frequently. The disappearance constitutes a sad event which has negative consequences on the family and personal circle of the missing person and feels almost untreatable in the beginning. It is considered a social phenomenon, where the one third of the missing people disappears more than once. Finally, there are those who disappear on purpose because they have decided to or those who disappear without their will. The cases of missing people that the International Investigations Agency Christodoulou Hellas A.S. undertake are the search of underage people-teenagers, elderly, friends, partners, debtors ect. 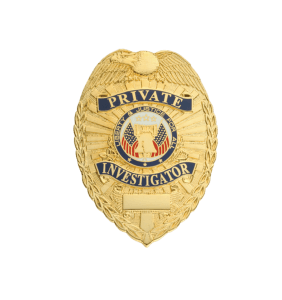 The highly knowledgeable partners of the agency collect personal information, including the medical and genetic data and proceed in extensive investigations in order to achieve the desirable result. Moreover the agencies proceed in detailed investigations of the close environment of the missing person with witness interviews where even the smallest detail can become a key evidence for its finding. The private investigation agency Christodoulou is on a constant communication with all the national entities and the NGO in local and international level for the direct crosscheck of the evidence. Using the most advanced technological investigation methods in combination with their years of experience, the discretion and the professionalism that they own, they become the ultimate solution for your problems!